Robots.txt कैसे काम करता हैं? अपने Blog के लिए Robots.txt File कैसे बनाए? Robots.txt File को Blog में कैसे Add करें? वैसे तो कई websites है blog के लिए robot.txt file बनाने वाली but अगर वो true होती तो थोड़ी देर के लिए सोचो blogger ने आज तक ये service start नहीं की हैं। मैं आपको इतना ही कहना चाहूँगा की आपको कही जाने की आवश्यकता नहीं है। यहाँ आज मैं आपको robots.txt file के वो code दे रहा हूँ जो blogger के बताए हुए हैं आप चाहे तो इसे blogger help forum में जाकर देख सकते हो। अगर आप ये देखना चाहते हो तो उसके लिए यहाँ पर click कीजिए Click hare. ये सबसे important है sitemap search engine को हमारी website की new post की जानकारी देता है उसे कब क्या search करना है कौनसी post में कितने URL है कौनसी सबसे popular है और भी बहुत काम है sitemap के दोस्तों blog में robot. 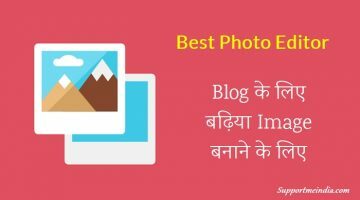 txt file add करने से पहले आपको अपने blog के लिए sitemap बनना होगा। आप यहाँ पर click कर के पहले अपने blog के लिए sitemap बना सकते हैं। अपनी Website (Blog) के लिए Google Sitemap कैसे बनाए ? Blogger Blog ke liye jo robot.txt code hai kya sirf use blogger me hi submit karein ya fir us same code ko search console me bhi submit karein. apka is code me sitemap alga hai aur mera atom wala sitemap hai to kya usse koi problem ho sakti hai ? Search console में भी submit करना है, No problem. meine appka code save kiya hei save ho gaya hei blog mein. aur mein koi post chipana nahi chahta sari post dikhana chahta hun to is code se koi dikkat to nahi hei. Nahi, agar aap apne blog ke kisi content ko search engine se hide nahi karna chahate hai to jarurat nahi hai. robots.txt se all code ko remove kar do. search console me site url ko fetch karke dekho jo bhi reason hoga pata chal jayega. Thank you sir, ap ne bahat achhi tarike se samajhaya hai. Aapne mujhe jo code diya tha wo mene search console and wp robots.txt me add kiya fir bhi post open karne par error aaraha hai sir meri site ki koi bhi post 4 day se open nahi ho rahi hai sir aap koi aisa robot txt file code de jo wp and search console me work kare sir me bahut problem hu plz sir helm me. code search console me nahi blog robots.txt file me add karna hai. Code ko wordpress dashboard >> yoast seo >> tools setting me ja kar robots.txt file me add karo. Search console robots.txt tester me jo code hota hai wo mujhse galti se delete ho gaya hai ab meri site ki koi bhi post open nahi ho rahi hai error aaraha hai ab wo code mere pass nahi hai jo me dubara se add kar deta sir aap hi kuch bataye me kya karu me wordpress par hu. Aap ye code robots.txt file me add kar sakte ho. सर, मैंने पहले ही रोबोट डॉट टीएक्सटी फाइल को ब्लॉग में ऐड कर लिया था, लेकिन जब आज मैंने सर्च प्रेफरेंसेस में देखा तो वहां पर कस्टम रोबोट डॉट टीएक्सटी डिसेबल्ड था, तो क्या इसका मतलब अब मुझे फिर से रोबोट डॉट टीएक्सटी फाइल को ऐड करना पड़ेगा? Aap blog me robots.txt code add karo na ki search console me . hello sir mai apke blog ka ragular vistor hu aur mai apse hi blogging seekh raha hu maine bhi ek website banai hai please sir hamari site ko dekh kar bataye ki usme kya kami rah gai hai. 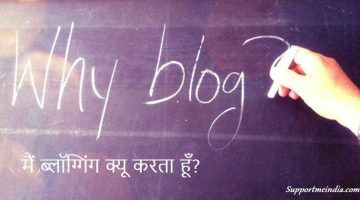 Koi kami nahi hai bahut achha blog hai. Sir bahut badhiya post likhi hai apne ye post har blogger ke liye helpful hai. Ye google search traffic ki report hai. Sir aapke blog ke head par jo ad show ho raha hai uski size mobile theme me alag hai or desktop me alag hai. Sir blog me responsive ad kaise lagaye. Main responsive ad use karta hu. Robots.txt file me sahi code use karo ya use hi mat karo. Thank you for sharing this information. This information is very helpful for me. I hope that you share daily new information on blogging. sir maire blog me search console se robots.txt submit ho gya use hatane ke liye kya krna hoga. blog se remove karo search console se bhi remove ho jayega. Sir maine 2 month phle ek blog bnaya tha or ab naine uska URL change kiya h to phle wale URL se bhi vo blog google pr show ho rha hai us phle wale blog ko google se hatane ke liye kya kru. Kuch mat karo apne aap remove ho jayega. Aap robots.txt file use mat karo, jab aapko iski jankari ho jaye ta use karna. Sir hame apne blog ke sabhi contents show karna chahte hain. To kya ham aisa robot text daal sakte hain ? Kya ye robot text sahi hai ? 4)mere blog ko opera mobile browser me open karo to 1,2 letter cut jaate hai kya problem (ribbon template) other browser me koi problem nahi. 3. Jab chaho kar sakte ho. 4. fully responsive template use karo. 6. Blogger settings >> Posts, comments and sharing par jao or Show at most ke samne jitni post set karni hai utne number set karo. Aap search console par jao or google index >> remove url se us post ko remove karo. New post ko search console me fetch as google karo. Aap post ka link change mat kiya kaor galat link se psot index hone mar error show hota hai. Ab check karo ho jayega. Google ko aapke robots.txt file ko update karne me time lageg. E jaruri bat google bahut smart hai or humare block kar lene ke bad bhi URL index kar leta hai. Sir agar main robot.text use nahi karta hun to koi prblm h kya ? Aur sir mere comment ke jawab ka mujhe notification mil jaye aisa nahi ho sakta kya ? Starting me iski jarurat nahi jab aapke blog par lakho me traffic ho to jarurat hogi. Aap ise achhe se samajh lo tab use karna. WordPress dashboard >> settings >> discussion par jao or “Allow link notifications from other blogs (pingbacks and trackbacks) on new articles” or “Allow people to post comments on new articles” ke samne tick karo. Disallow likh kar uske bad jo hide karna hai us page ka link add karo. Bahut hi simple hai robots.txt file me ye code add karo. Isi tarh aap kei link add kar sakte ho. Yes jaruri files ko search engine se hide karne ke liye jaruri hai. Sir,maine ekk site banaya hai per mee jab vee useee google me search ker rha huu to website new post kiya hua post ka titke dikha rha hee per Discription nahi dikha rha hee bol rha hee title kee niche ke “A description for this site is not available because of the site’s robot.txt. Aur Main Title mee “Your Description here” bta rha hee home page wla mee.Please help me sir! 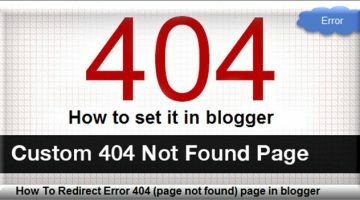 maine blogger seo ke bare me complete guide di huyi hai wo post padh kar apen blog ki seo settings karo. Aap robots.txt feature ko disable kar do sabhi post google me show hogi. Ek baat batao brother tumhari site par tumhare blog post hi powered by google (Google ads) me show hote hain and then unko click karne par tumhare blog posts hi open hote hain, how is that possible? and do you get any income from that too? Ye AdSense matched content ads hai. Nahi isse koi earning nahi hoti hai. Thanks for your quick response, i am amazed how quickly you give response to each of the comments. sir mene search console me jab site map add kia to mujhe ye msg show kar raha hai “Submited 63 indexed 44” Aap mujhe Samja Sakte hain ke 44 hi index kyun hwe hain ? Iska matlab hai ki google me aapki site ke 63 ur lsubmit ho chuke hai or unme se 44 indexed hai. Sir kya ap Robot.txt file use karte hain? Ha karta hu. Sabhi blogger karte hai. Aap godaddy customer care me bat karo wo aapko sabkuch samajha denge. Aapko jab robots.txt file ki puri jankari ho jaye tabhi ise use karna warna aapki site search engine se hide bhi ho sakti hai. jab tak aap robots.txt code ke bare me jan na lo use mat karo. to kaya maine robot text code ko add kiya hai in ko removed kar du ? in ko remov kaise karte hai ? Is post se jo code btaye gaye hai sirf unko rahne do baki ko remove kar do. aap mera blog chek,karke btaye,ki usme AdSense ke shi jagah lagaye h post main bhi or kitani ads. or laga skte h.
main apni site ko alexa main submit karta hu to Vha paid service bta rha koi free service nhi aa rhi h.
kaise add alexa main site ko free main. Woimage galat thi ab maine chnage kar di hai aap follow kar sakte ho. Apne jo robots.txt code add kiya hai. use remove kar do. Aap jo jo robot.txt file chipaoge wo sab search engine me show nahi hogi. Mere hisab se aapko jab tak robot.txt ki achi jankari na ho, ise use mat karo. 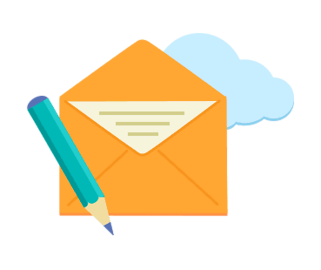 Does your blog have a contact page? I’m having problems locating it but, I’d like to shoot you an email. I’ve got some creative ideas for your blog you might be interested in hearing. Either way, great website and I look forward to seeing it improve over time. Hi my name is Sandra and I just wanted to drop you a quick note here instead of calling you. I came to your Robot.txt File Blog Me Kaise Add Karte Hai page and noticed you could have a lot more hits. I have found that the key to running a successful website is making sure the visitors you are getting are interested in your niche. There is a company that you can get targeted traffic from and they let you try their service for free for 7 days. I managed to get over 300 targeted visitors to day to my website.